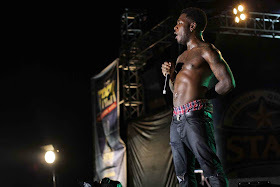 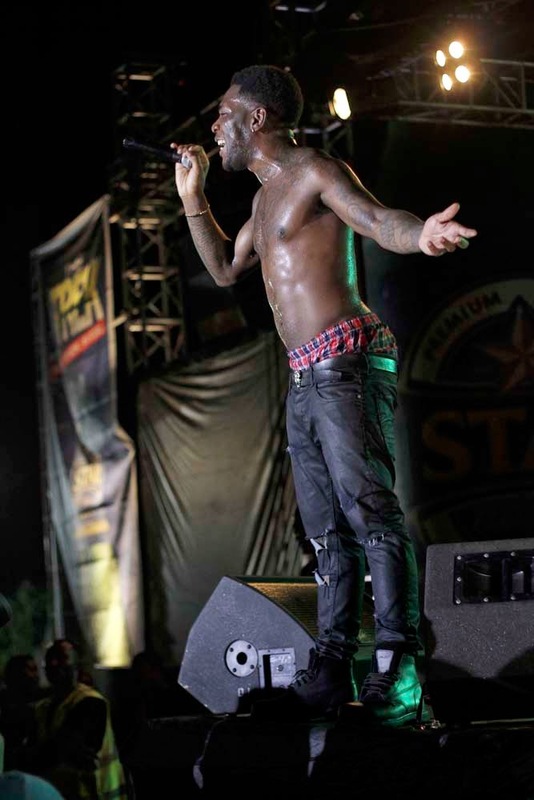 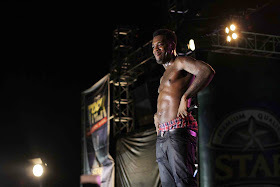 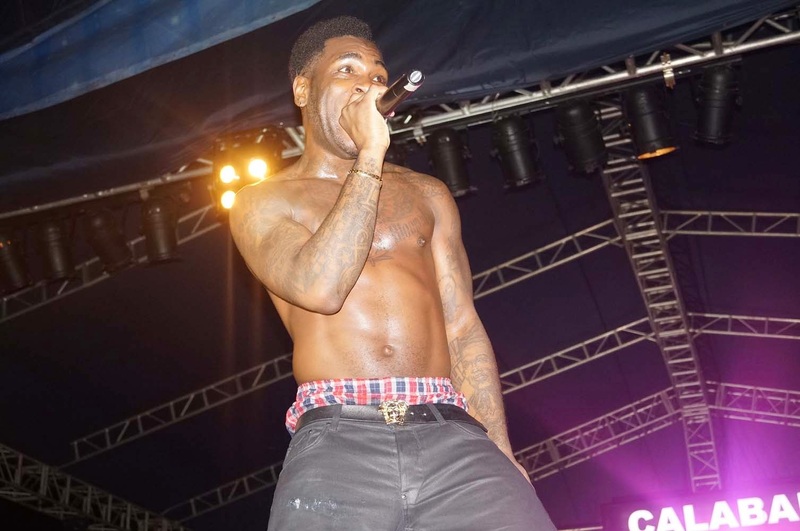 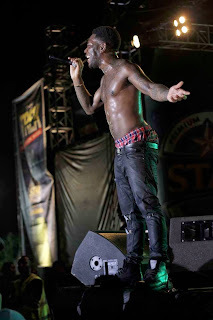 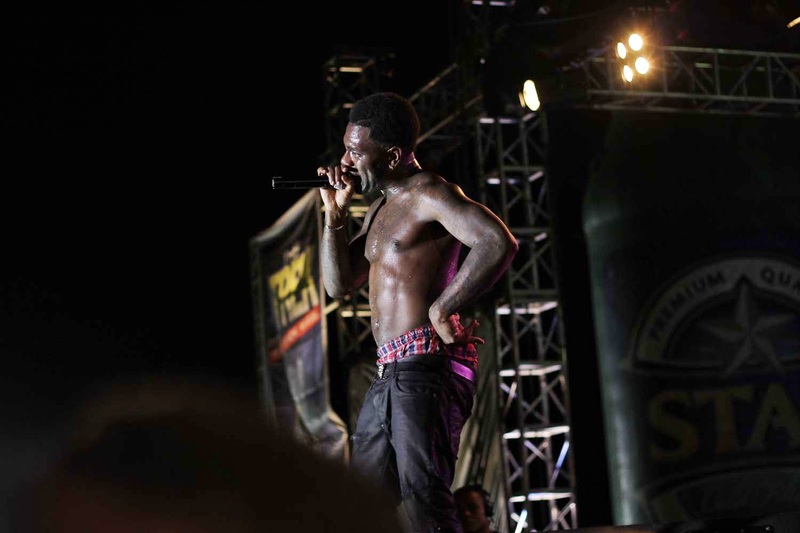 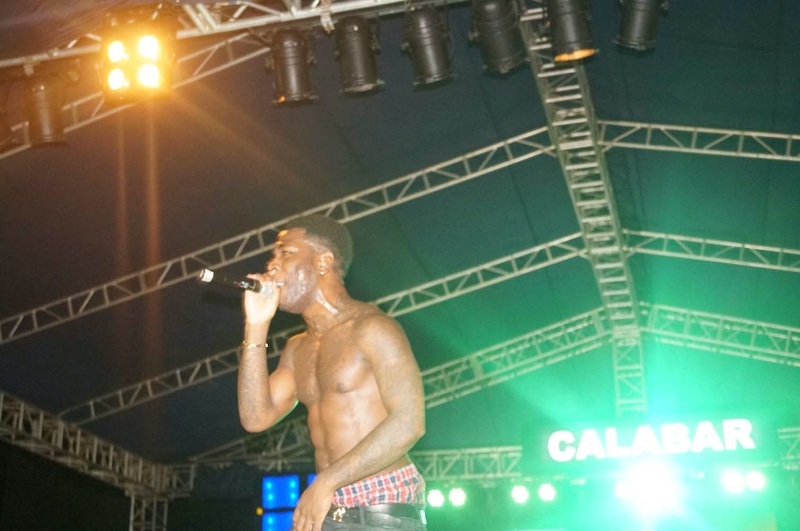 For the fans, especially for the females at the Municipal Garden in Calabar on May 2, 2015, it was eye candy galore at the opening leg of the 2015 Star Music Trek as dancehall superstar Burna Boy stole the show with a raunchy, energetic performance. In the course of performing hit songs like "Run My Race", "Don Gorgon" and "Rockstar", Burna Boy decided to give the ladies a treat as he took off his shirt and threw it into the crowd. The excited crowd rushed to catch his shirt and female fans eagerly pushed forward to catch a glimpse of his well-toned body. 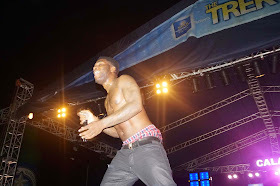 The Calabar leg of the 2015 Star Music Trek also featured exciting performances by Cynthia Morgan, Black Magic, Oritsefemi, Wande Coal, DJ Snoop Da Damaja, DJ Big N, Chidinma and Kcee. 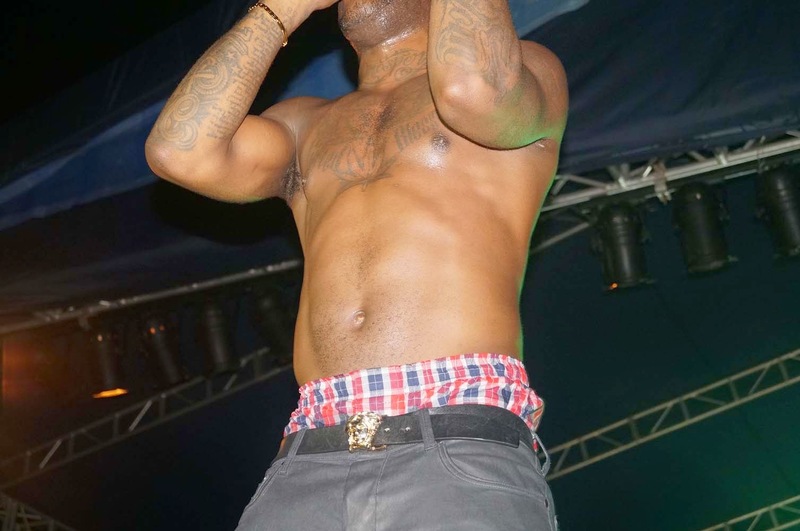 See photos of Burna Boy making the ladies happy below.